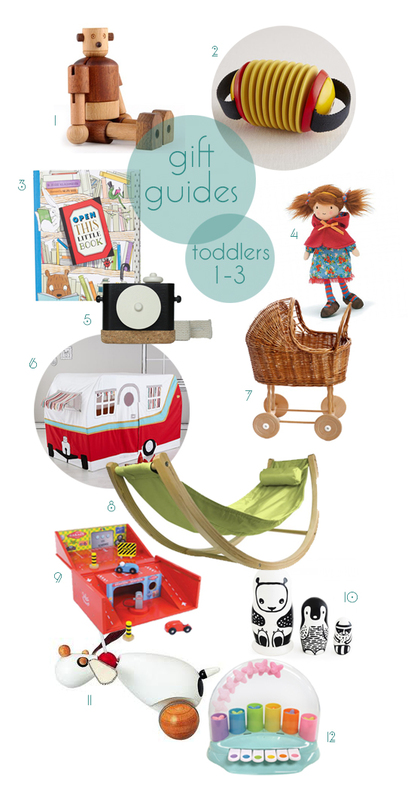 The Small for Big Gift Guides continue with what may be my favorite age group when it comes to toys. This is the age where little ones begin to realize what a toy can be: almost anything! It’s time for parents to stock up on the bigger items they’ll all live with for years (like play tents! ), and to expand little minds with pretend play and sweet little friends. OH how I love toys like these.